South American Fiesta at the Mosman Art Gallery on August 31. Watch Argentine tango dancers Belen Silva and Mauricio Hernandez perform to the music of Dos Bandoneons – Emily-Rose Sarkova and Owen Salome. 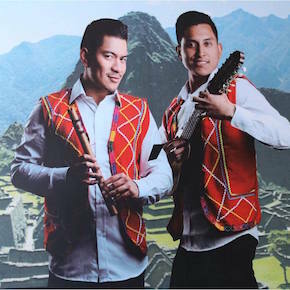 Enjoy the Te Amo folk dancers and Duo Jiminez musicians from Peru perform the music and dance of the Andes. Indulge in local food, wines and a Pisco sour, the famous Peruvian cocktail. Mosman Cruise Centre is a cruise travel agency, established as Travel Choice in 1992. We moved to the heart of Mosman village in Sydney’s lower north shore in 2006. The agency works with all the cruise companies, big and small, leading tour companies, airlines and services around the world. Our consultants are keen travellers and love to cruise – talk to us about your travel plans. We are a member of AFTA. ATAC is the Australian Travel Agents Cooperative, a boutique body of travel agents with 30 years experience.